Kim Watters is a registered massage therapist with people of all ages with an interest in hand and foot reflexology and oncology massage. Kim Watters is a registered massage therapist with the College of Massage Therapists of Ontario (CMTO) and has been primarily practicing along side physiotherapists since she has graduated. 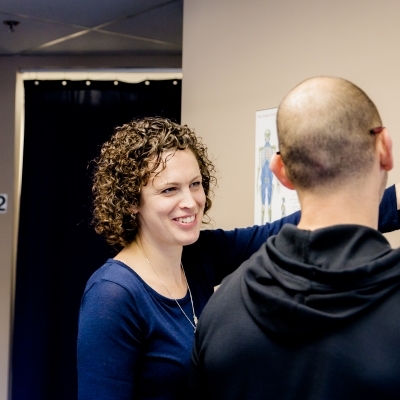 As a member of Motion Works Physiotherapy & Sports Injury Centre for over 13 years, Kim has been treating many orthopedic and sports related injuries, as well as day to day chronic and acute muscle tightness. Kim has a strong understanding of the movement restrictions that can occur because of her extensive hands on experience. She is always continuing to enhance her skills by taking courses regularly to help improve her knowledge and skill set. As a well-known therapist in the Stittsville, Kanata area Kim has helped many recover from injuries, chronic diseases or stresses of daily living. She has experience providing massage therapy treatment for frozen shoulder, neck and back pain, motor vehicle injuries, pre and post joint replacement, stress management, postural dysfunction and pre and post natal pregnancy massage to just name a few. Kim has a deep tissue massage approach but adjusts her treatment for individual care. Kim is very passionate about her work and strives to help each and every patient succeed and recover. In her free time Kim spends most of it hiking, camping and enjoying the outdoors with her two beautiful children. Massage therapy can have a positive effect on almost every medical condition, in one way or another. 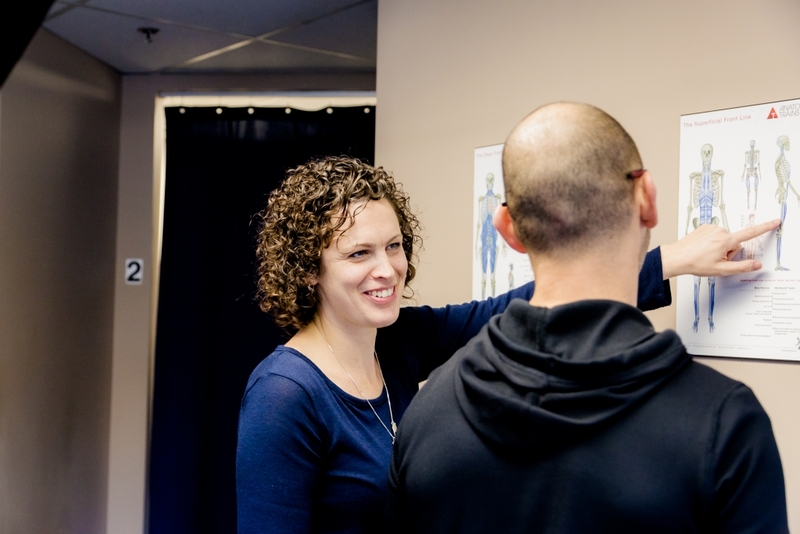 Over her 13 years as a massage therapist Kim has taken many courses in assessment, ultrasound, acupressure, sports massage, exercise reviews, and myofascial release. Kim also tries to attend the massage therapy conference every few years. She uses different techniques from different courses and workshops and loves to blend her previous knowledge and techniques with her new information from courses. Most recently, she has taken Neuromuscular integration and structural alignment (NISA), Indie head massage and sports injuries workshops. She continues to learn along side her physiotherapist coworkers and always works with them in the care of her patients. In the future Kim has interest in reflexology and more myofascial treatment approaches.